Críona’s Senior Infants have been lucky to have the opportunity work with two artists; Tunde and Kim from the Dunlaoghaire Rathdown Artist in Residency Programme. We began the project with a visit to an exhibition in Dunlaoghaire library. We looked at various images and discussed the shapes that we saw. Then using oil pastels we created our own shape images. 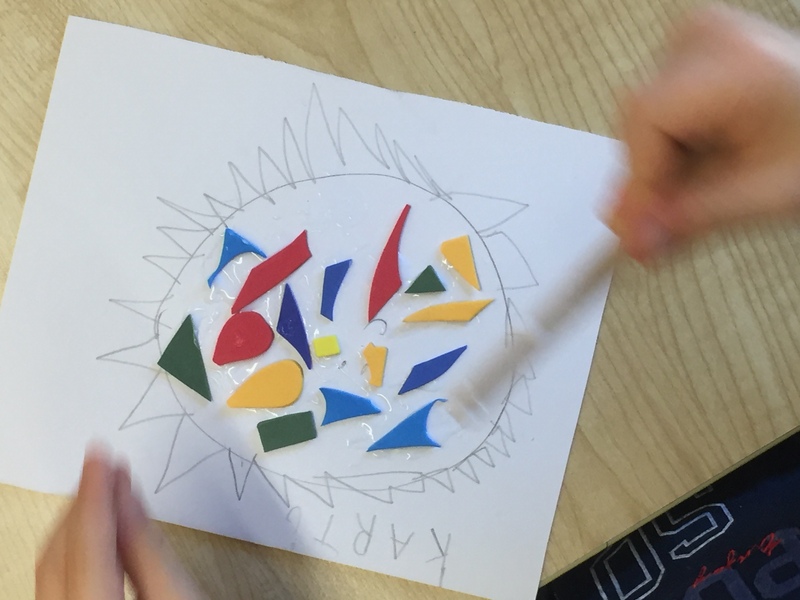 Back in the classroom we have been exploring how we can create our own pictures using shapes. The next part of the process involved gluing foam pieces onto our shape design in a mosaic manner.